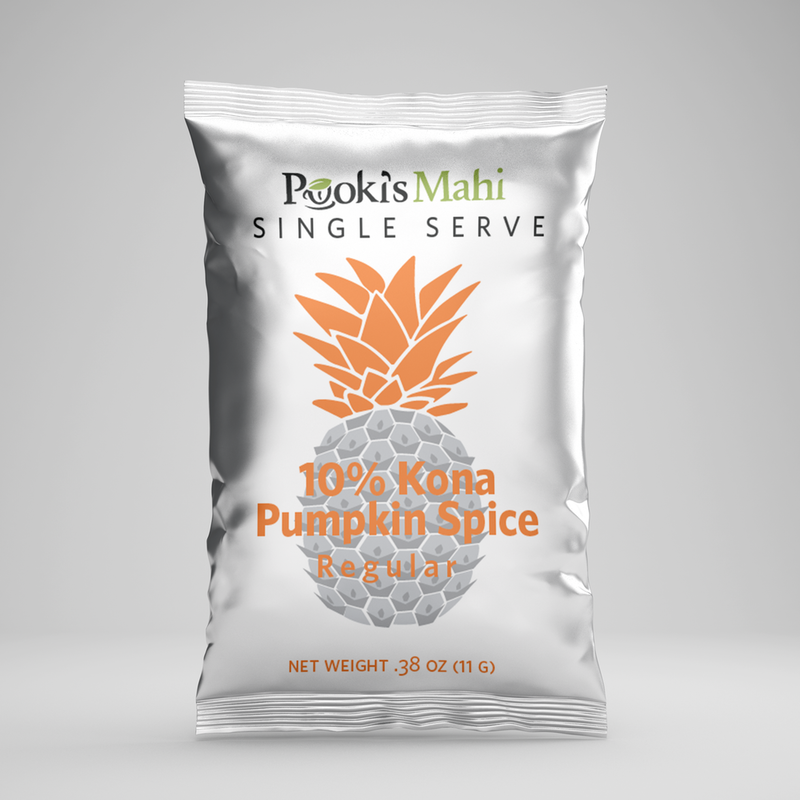 Silicon Valley manufacturer of Kona coffee pods ships Kona Pumpkin Spice coffee pre-orders; Pooki’s Mahi’s Kona coffee Pumpkin Spice coffee pods will be available for select marketplace customers in early November. Pooki’s Mahi’s Kona Pumpkin Spice coffee pods are the first flavors launched using Pooki’s Mahi’s upgraded cross-functional templates. Pooki’s Mahi, a Silicon Valley startup of private label and custom Kona coffee pods announced it shipped all pre-orders for its Kona Pumpkin Spice Coffee pods. Distribution centers will begin shipping orders for marketplaces like Walmart, Overstock and Amazon in early November. “Pooki’s Mahi’s Kona Pumpkin Spice coffee pods are popular with Pooki’s Mahi’s repeat customers. Pooki’s Mahi follows an approved cross-functional template to ideate, pilot and consistently launch new Kona coffee pods, custom promotional products and Kona coffee pod flavors for private label brands. Pooki’s Mahi’s customers, distributors and resellers feedback are incorporated into an over-all product roadmap and go-to-market plan. Kona Pumpkin Spice coffee pods are the first flavors launched using Pooki’s Mahi’s upgraded cross-functional templates to launch new single serve coffee pods,” explains Pooki’s Mahi’s Founder/CEO Les Magsalay-Zeller. Pooki’s Mahi’s Kona Pumpkin Spice coffee pods are a seasonal cup product and part of Pooki’s Mahi’s limited edition collection. Pooki’s Mahi will not replenish inventory when all units are sold. One box contains 24 pumpkin flavored Kona coffee pods. Pooki’s Mahi Kona Pumpkin Spice coffee pods are made from ten percent of 100% Kona coffee beans. The Kona coffee pumpkin spice pods will have pumpkin and nutmeg flavors as part of the Kona coffee taste. Kona Pumpkin Spice coffee pods are compatible with 2.0 and 1.0 single serve coffee makers. Pooki’s Mahi will not replenish inventory when Kona Pumpkin Spice coffee pods are sold. Pay $47.99 on Pooki’s Mahi or higher on marketplaces like Amazon. Deeper discounts for approved resellers like Overstock or marketplaces like Walmart. Complimentary expedited shipping to the Lower 48 states (US only) on Pooki’s Mahi main store. 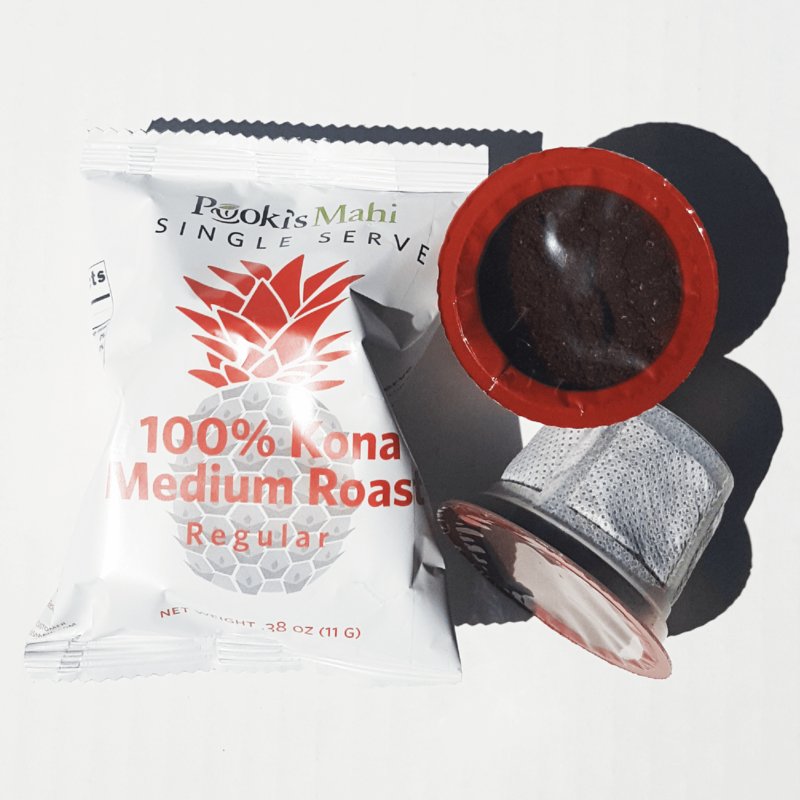 The Silicon Valley startup is focused on delivering high quality 100% Kona coffee pods using Pooki’s Mahi’s expertise in operations and supply chain excellence, new product introductions and go-to-market launches. For use in single serve coffee makers brewing system. Pooki's Mahi, The PMO Practice, Matcha Matcha Man are trademarks of Pooki's Mahi. 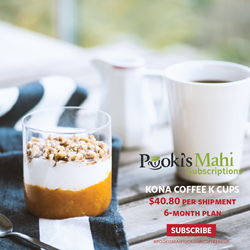 Pooki’s Mahi is a Silicon Valley-based custom promotional products manufacturer, private label distributor and retailer offering award-winning 100% Kona coffee pods, 100% Hawaiian single serves and 100% Kona Decaf coffee pods at wholesale and bulk prices. Since its online launch in 2013, Pooki’s Mahi products have been a favorite of customers, charities, celebrities and athletes and have been featured at red carpet events including Celebrity Gift Suites and Celebrity Poker tournaments. The products have been endorsed by many celebrities and athletes and seen on several television shows. Pooki’s Mahi’s mission is to revolutionize the supply chain ecosystem in bringing the highest quality Kona coffees into the market in a sustainable format. Hawaiian coffees are harvested/roasted in Hawaii, cup manufactured in US and distributed to the several fulfillment centers in the US. Pooki’s Mahi’s Introduces Kona Pumpkin Spice coffee pods.